First, it is highly recommended that you enable password protection in Unified Remote Server when using external connections. See the linked tutorial below. If you are using Windows Firewall or any other security software, you may have to enable public access to the ports used by Unified Remote Server (TCP/UDP 9512). See the linked tutorial below. The most important part is that you enable port forwarding on your router. By default most routers do not allow inbound connections from the internet. How to enable port forwarding on your router is outside the scope of this tutorial. See https://portforward.com/ for instructions. Next you need to find your external IP address so that you know where to connect to. 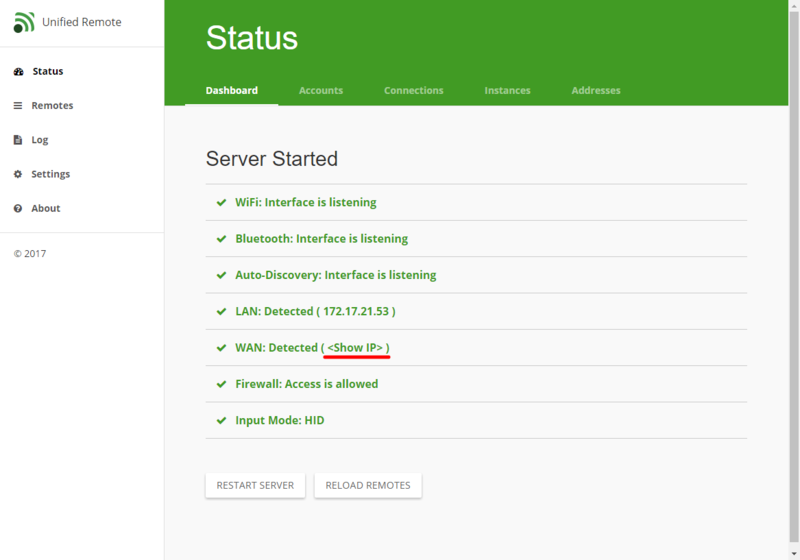 You can do that either using the Unified Remote Server manager, visiting What's My IP, or Googling "Whats my IP".